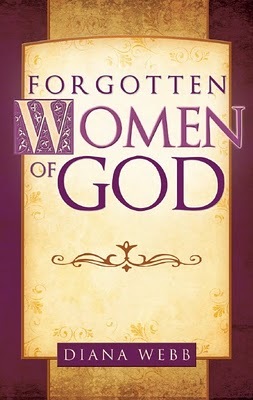 Women in the Scriptures: Interview with Diana Webb, Author of "Forgotten Women of God"
Interview with Diana Webb, Author of "Forgotten Women of God"
For the last few weeks I have the opportunity to be in correspondence with Diana Webb the author of "Forgotten Women of God." I first picked up Diana's book at the library about a year ago and loved it. There have been several times in the last year that I found myself wishing I had my own copy of her book so I didn't have to keep checking it out of the library. 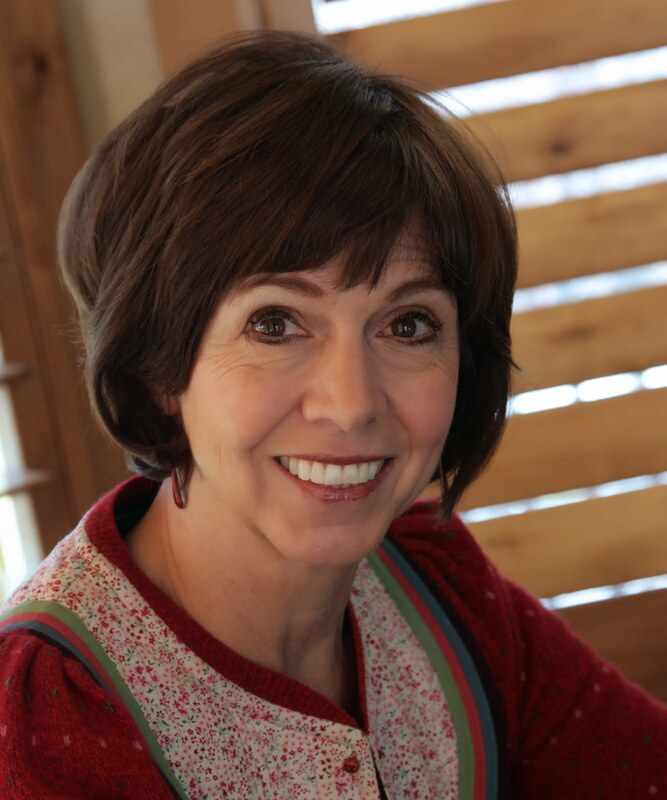 Several months ago I contacted Diana and asked if I could review her book and interview her for my blog. It has been a really fun experience getting to know her a little and to hear her amazing insights into women in the scriptures. "....those sacred books of the Jewish people which were not included in the Hebrew Bible. They are valuable as forming a link connecting the Old and New Testaments, and are regarded in the Church as useful reading, although not all books are of equal value. They are the subject of a revelation recorded in D&C 91, in which it is stated that the contents are mostly correct, but with many interpolations by man." I've never spent much time in the Apocrypha but after reading this book it is definitely on my list of things to do. I was amazed at how many new women there were to discover and how the Apocrpyhal books gave new depth and understanding to many of the women mentioned in the Old Testament. I learned so much in Diana's book and am glad I now have my own copy to go back to again and again. She also gave me some more incredible insights in our interview, which I have posted below. My questions are in black and her answers are underneath. I hope you enjoy the interview as much as I did! Q. In the preface of your book you mentioned that you did your Master's Thesis on the women in the Apocrypha and the Pseudepigrapha. What got you interested in studying women in the scriptures? How has learning about them changed your perspective on the scriptures? A. In graduate school, we had to come up with a thesis idea within a month. A thesis has to research that has never been published before. So you see, just choosing a topic was a bit daunting. Several months previously, my husband and I went to dinner with friends, and the husband told us versions of Old Testament stories that I had never heard before. They were fascinating! He said he read them in some ancient documents called the Old Testament Pseudepigrapha. (These were composed anonymously between 200 BC and 200 AD but attributed to famous people like Moses or Abraham to give them credibility.) People wrote these stories down to reflect the Jewish traditions that had evolved over the centuries, but were not recorded in the Old Testament. These authors worried that these traditions would be lost because the whole world was buying into Greek culture, which was a lot more fun (permissive) than the Jewish culture with all its strictures. They wanted to preserve the beautiful stories of their culture for posterity. Most of the accounts closely paralleled the Old Testament accounts, but provided fascinating and intriguing insights that were absent from the Bible. I especially liked the fact that the unnamed women of the Bible had been given names and personalities. Women like to hear stories about other women, especially ones who made a difference in the world. It has been a man’s world for many millennia, and women have had to get by as best they could. I loved the creativity and compassion of these women and decided to write about ALL the women in the two volume set of the Old Testament Pseudepigrapha that I was using, but I was advised that such a project was beyond the scope of a mere thesis. My advisers suggested I just pick a few, perhaps the wives of the patriarchs. So, I ended up writing on Eve, Sarah, Rebekah, Rachel, and Aseneth (“Technicolor” Joseph’s wife). When a publisher asked me to develop this thesis into a book, they were not interested in Eve, and the other more well-known women of the Bible. And so, I only used the chapter on Aseneth, and ended up writing about other women in the Pseudepigrapha that were NOT in my thesis. Q. I think my favorite part of your book is your emphasis on correctly understanding the word "helpmeet" as it is used in the Old Testament and how the Hebrew word that it is derived from "ezer" means" to save" or "to rescue". I've reflected on how this insight has impacted my life but I would love to hear more of your thoughts on the word "ezer" and how it has influenced your understanding of womanhood. A. I love the Hebrew word “ezer.” It makes me so happy that my Heavenly Father designed me as a woman to save my little corner of the world. To be a “power equal to man,” as translated by scholar David Freedman. I was meant to be more than a “helper.” I was meant to be powerful. I love knowing that I was designed to rescue those around me. I don’t feel small at all. In fact, most of the time I feel indispensable. When writers of juvenile fiction want to create a great story, the first thing they have to do is kill off the mother. Think about it – Harry Potter, the Boxcar Children, etc. If kids have a mother, there is no drama. Women fix things for people around them. And they are supposed to. Women make the world richer. Q. Before I read your book I'd been under the impression that the Apocrypha was an "unreliable" book compared to the Bible. I guess I figured that since Joseph Smith didn't bother to translate it, like he did the Bible, then there must not be anything important in it. Yet after reading your book my perspective changed and I was astounded at how the additional information in it illuminated many of the Old Testament women's lives and personalities. Catholics include the apocryphal books in their Bible, but most other churches, LDS included, seem to distance themselves from those books. Why do you think that is? A. That is a great question. I’m pretty sure it is because the Jews did not include the Apocrypha in their Jewish scriptures. (Their scriptures are basically the Old Testament, but they don’t call it that, because that would imply there was such a thing as the New Testament.) This is a pretty boring, historical answer, so hold on to your hats. In 90 AD, the Jews held a council at Jamnia to determine their scriptural canon. The Christians were using the Jewish scriptures, including the Apocrypha, and the Jews wanted to make sure there was plenty of differentiation between Jews and Christians, so they made their own list of books to include in their canon. You can see why the Jewish elders would not want to have a book like Susanna in their scriptures. It ,makes Jewish elders look bad. Q. There are several women in the Old Testament who we don't have names for such as, Job's wife, Noah's wife and daughter-in-law, and Jephtha's daughter, but who we learn much more information about-- including their names-- in the Apocryphal and Pseudepigraphal books. How do you think having a name or not having a name for a scriptural woman impacts the way we view or treat her story? A. During the Holocaust, the Germans gave each of their Jewish prisoners a number, which was tattooed onto their forearms. They were meticulous record-keepers and wanted to keep track of what happened to each of them. And yet, they did not use their names. Having a name makes a person real. It gives a person identity. Many stories in the scriptures are so male-centered that women are skipped over, as if they are inconsequential. Many cultures in the world continue to devalue women to the point that they do not even have visible faces when they go out in public. Their only value is that they “belong” to a man. Having a name gives a person an identity, and a soul. When you know someone’s name, you know them in a way that you never did before. They become human. They become a brother or sister. Just look at what pains Rumpelstiltskin went to to make sure no one knew his name. "Verily, thus saith the Lord unto you concerning the Apocrypha—There are many things contained therein that are true, and it is mostly translated correctly; There are many things contained therein that are not true, which are interpolations by the hands of men." How can readers of these books discern which things are true and which are "interpolations by the hands of men"? In your opinion how much truth do you think there is in such powerful stories like that of Aseneth's miraculous conversion, Susanna's dilemma, or Judith's bloody triumph? Could there be truth in them -- in some form or another – or are they "interpolations by the hands of men."? There is a giant hint in these verses. “Hint, hint. There is benefit to be found by reading these books. Read them and receive the benefit from your search for additional truth.” The Lord gives us the key that will guide us to know if what we are reading is truth or “the interpolations of men.” He did not have to translate the Apocrypha because if we read with the spirit, we will be able to discern what is truth. When I was doing my graduate work at BYU, I took a class called “Apocrypha and the Latter-day Saints,” taught by Dr. Stephen E. Robinson. Brother Robinson is the author of the books Believing Christ and Following Christ. It was my favorite class. (I had a directed readings private class with him where we would chat each week and talk about the things I had been reading in the Pseudepigrapha. In fact, Dr. Robinson translated a couple of the inclusions in the Charlesworth edition of the Pseudepigrapha.) We read the Pseudepigrapha We read the Apocrypha. We read the New Testament Apocrypha. We read the Nag HammadiLibrary, gnostic scriptures. Every day he would ask us what we thought about what we had read. Were we being guided by the spirit to find the diamonds hidden within all those volumes? I loved the challenge of finding the nuggets of truth within the “interpolations of men.” For I strongly believe that even if a document isn’t 100% truth, there is a seed of truth in the story that is true. For example, the story in the Book of Judith about a young and beautiful woman beheading the powerful Assyrian general Holofernes while he sleept seems hard to believe. Melodramatic evan. And yet, the account of Jael hammering a tent peg into the temple of the sleeping Sisera, the powerful commander of the troops of King Jabin is basically the same plot with a few twists. The story of Judith is apocryphal, the story of Jael is in Judges 4 and 5. Even if a story has been “embroidered” with tradition, perhaps there is a kernel of truth behind the tradition. I remember the day we read The Hymn of the Pearl in the Acts of Thomas in the Nag Hammadi Library. It is one of the earliest Christian documents. It is said to be the hymn that Thomas sang while imprisoned in India. It is also known as the Hymn of the Robe of Glory. "And from Our Second, thy Brother --To thee, Son, down in Egypt, Our Greeting! "Up an arise from thy sleep,Give ear to the words of Our Letter! "Remember that thou art a King’s son;See whom thou hast served in thy slavedom. For which thou didst journey to Egypt. "And with Our Successor, thy Brother,Thou mayest be Heir in Our Kingdom." After reading the letter, the young man remembers his mission to get the pearl. He lulled the Serpent to sleep by chanting over hum the name of his father, the name of our Second [his brother] and the name of his mother, the East Queen. He snatched the pearl, stripped off the filthy and unclean garments that he wore, and returned to the kingdom of his father. His parents send him his robe of glory, and he says, “as soon as I saw it, The Glory looked like my own self.” He says that “the image of the King of Kings was upon it.” He put on the glorious robe and is greeted by his father and his mother. He gives them the pearl and returned to live in the kingdom of his father, clothed in his resplendent robe of glory. After I read this document, I was stunned. There was not much in the Acts of Thomas that I considered inspired, but here was this gem, perfectly outlining the plan of salvation from the restored gospel. It was wonderful. Q. Are there other women mentioned in the Apocrypha and Pseudepigrapha that you didn't include in your book? A. Yes, many. I left out the naughty ones, like Lillith, the “bad Eve” character. I also left out the ones that were more well known, because that is what the publisher wanted. However, there is great stuff about my matriarchs, especially Rebekah. Q. Are you working on any other projects right now? Do you have plans to write any more books or continue your research on women in the scriptures? A. As a matter of fact I’m working on a book right now that I want to call Rebekah and Other Lionesses. I attended BYU Women’s Conference last April and was very moved by the keynote speech by Julie Beck, General Relief Society President for the Church, “Choose Ye This Day.” I have been a different person since I heard that talk. I knew I wanted to tell Rebekah’s story. That night when my friends went to dinner, I had them drop me off at the library so I could begin the I research for this book. Q.) Do you have a favorite woman in the scriptures? If so, how has her story impacted your life? A. Of all the women in this book, my favorite was Susanna from the Apocrypha. Her book is part of the book of Daniel. I think she is a parallel character to Joseph of Egypt. Joseph refuses Potiphar’s wife by saying that he cannot “sin against God,” even though he knows she will have him thrown in prison. Susanna says basically the same thing when confronted by the elders, even though she knows their double condemning testimony will condemn her to death. What a woman! She reminds me of Joseph F. Smith’s answer to a man pointing a gun at him and asking him, “Are you a %&*#$@ Mormon?” He replied, “Yes siree, true blue, dyed in the wool through and through.” Talk about standing as a witness before God at all times and in all places. It makes we want to stand firm for the right and never cave in under pressure. I think you have figured out by now that I love Rebekah. She is my idol. This was further reinforced as I listened to Sister Beck talk about her. She said that Rebekah was one of the most pivotal and important people in the history of mankind, and certainly in the House of Israel. She emphasized that without Rebekah, a woman worthy to receive revelation and capable of recognizing it for what it was, the House of Israel would not have been brought forth. Rebekah knew her responsibilities in the House of Israel and acted accordingly. She said that each and every one of us in our day is as important to the current generation of our family as Rebekah was to her generation. Each of us is pivotally important to our families, and we each need to understand our place in the House of Israel and our mission on the earth. The Lord is depending on millions of Rebekahs to understand their place in carrying on the blessings of the House of Israel. As I sat there at the Women’s Conference I thought, “Here I am with 15,000 active, faithful, scripture-reading women at this conference, and I bet that it is the minority who even know what Sister Beck is talking about. It is time for Rebekah’s story to be told.” If every woman needs to be a Rebekah to her family, she should know what that means. Rebekah was a powerful woman because she listened to the spirit of revelation. She recognized what God’s will was for her family and she acted upon it. Having the spirit means knowing God’s will and doing it. It is the potency of personal revelation. Sister Beck also described women as lionesses at the gate of the home. I thought, “Wow! If that doesn’t describe Rebekah protecting the son she knows is supposed to carry on the covenant, I don’t know what does...” Sister Beck said that the things that matter to the lioness at the gate of that home, matter to that family. It is very difficult to get a lion cub away from a lioness unless she believes wholeheartedly believes that the cause that draws her cub away is for the benefit of the House of Israel and for the continuation of the everlasting covenant. That’s how important the lioness is. Rebekah must have had a direct connection with her God. She went straight to the Lord about the future of the twins struggling within her. She found out that the elder would serve the younger. She knew this before they were ever born. The Lord confided in her the future of his covenant line. She never wavered in her determination to make it happen. If Rebekah had failed in any part of her responsibility, the House of Israel would never have come forth. That is why I love Rebekah. I try every day to find out what the Lord would have me do, and then I find a way to do it. I loved reading this interview! I haven't ever heard of the book but am really interested in reading it now. I bought this book last year and it was such an illumination that made me want to learn even more. Thanks for doing this great interview! Wow! I know so little and have so much to learn. Thanks for this inspiring post. Just purchased the book and can't wait to read it. Thanks for the interview report! One of the best books EVER--and Diana is an amazingly talented woman. You are doing a great service to other women by letting them know about her. I hope she hurries and gets her other book done! Wow...very interesting stuff! I guess I have some reading to do. Thank you for the interview. I love your stuff Diana!!!!! Great post. I have her book. I've been reading up on the Gospel of Mary. I've learned that there are a number of “gospels” that circulated throughout the early Christian churches until the canon was “fixed” about 325 AD. Most of the “unapproved” documents were deemed “heretical” and the church authorities ordered them to be destroyed (unless they could be hidden before they were found by the authorities). The Nag Hammadi manuscripts found buried in Egypt about 50 years ago contain other “gospels” claiming to be written by (or in some cases, about) Mary (the mother of Jesus), Mary Magdalene, Marsanes, Peter, James, John, Thomas, Phillip, Silvanus, Zostrianos, etc. Some of these seem to clearly be fakes (“pious frauds”); others seem to reflect authentic actions and teachings that we don’t find recorded in the current canonical gospels (some of them may have originally been there, but aren’t any longer). There is an interesting BBC documantary called The Lost Gospels. If you haven't seen it, I think you'd find it interesting. Here's the BBC's description of the program. "Documentary presented by Anglican priest Pete Owen Jones which explores the huge number of ancient Christian texts that didn't make it into the New Testament. Shocking and challenging, these were works in which Jesus didn't die, took revenge on his enemies and kissed Mary Magdalene on the mouth - a Jesus unrecognisable from that found in the traditional books of the New Testament. Pete travels through Egypt and the former Roman Empire looking at the emerging evidence of a Christian world that's very different to the one we know, and discovers that aside from the gospels of Mark, Matthew, Luke and John, there were over seventy gospels, acts, letters and apocalypses, all circulating in the early Church. Through these lost Gospels, Pete reconstructs the intense intellectual and political struggles for orthodoxy that was fought in the early centuries of Christianity, a battle involving different Christian sects, each convinced that their gospels were true and sacred. The worldwide success of Dan Brown's The Da Vinci Code sparked new interest, as well as wild and misguided speculation about the origins of the Christian faith. Owen Jones sets out the context in which heretical texts like the Gospel of Mary emerged. He also strikes a cautionary note - if these lost gospels had been allowed to flourish, Christianity may well have faced an uncertain future, or perhaps not survived at all." Another interesting book, not just about women, but about the birth of Christ and the surrounding events is "Revelation of the Magi" by Brent Landau. Here's a link to the description. http://www.patheos.com/Resources/Additional-Resources/Revelation-of-the-Magi.html. My dad has been reading this book and gets very excited about the clarity this could help shed on Christ's birth story. It's like the scripture Diana Webb used in your interview, D&C 91:4-6 says, "Therefore, whoso readeth it, let him understand, for the Spirit manifesteth truth; And whoso is enlightened by the Spirit shall obtain benefit therefrom; And whoso receiveth not by the Spirit, cannot be benefitted.” There are lots of things to be discovered and explored. Of course we need to consider carefully the information, as some texts may have been altered or inacurate, but I feel great peace that the scriptures say that the mysteries of God will all be revealed at Christ's coming, and I think that the increasing avaliability of ancient texts and interpretations is a part of the mysteries being revealed. God will surely have to do some revealing and clarifying, but He has given us alot to work with, too. because you remembered to get the pearl"
Oh, another interesting thing to consider: http://www.jesusfamilytomb.com/evidence.html. The Jesus Family Tomb has both advocates and detractors. The detractors claim it’s a recent fabrication to draw tourists (and money!) to the area. Advocates claim it’s authentic and “proves” that the Bible is true. The truth probably lies somewhere in between these two extremes, but it's interesting stuff.